I’ve been art directing for over 10 years. I’ve seen thousands of portfolios. Most are a blur. You see the same bad stuff over and over. Can’t draw hands. Can’t do 3/4 poses. Can’t blend. Can’t transition. Can’t pop. The list goes on. Even the amazing portfolios are clones of Brom and rk post. So, when I met Anna a few years ago at Gencon, her portfolio was alive and original, I promised her work right there on the spot. I sent her over to talk to Zoe at FFG (and a few other people) that day as well. And I hope it helped, because I she’s working on some cool properties. Below is a piece from the Game of Thrones CCG. I love the story going on here. 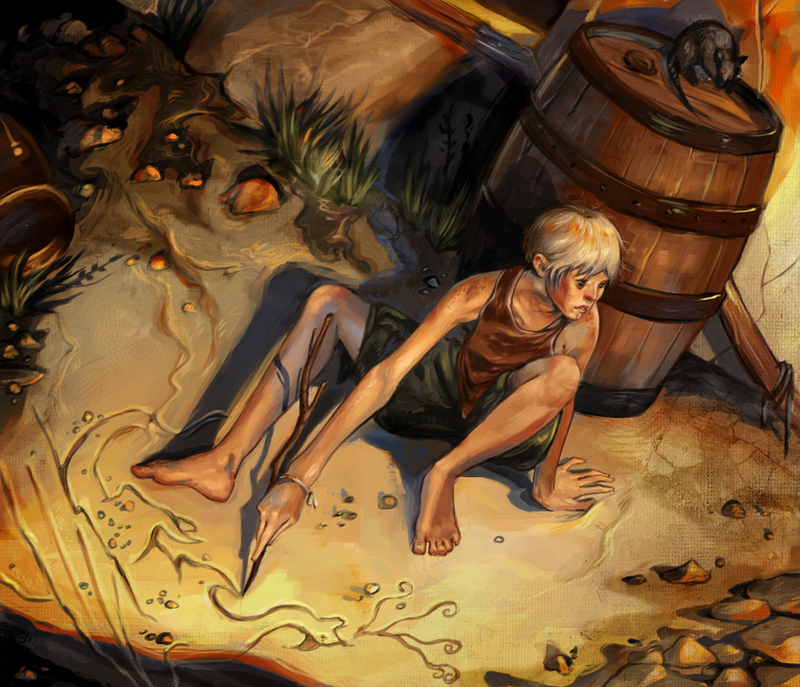 Anna did a great job bringing it to life and her A.D. concepted an evocative scene. I’ve written over 10,000 art descriptions in my career and never this one. Seems like a great low-level power or 1st-level magic spell. I would expand on the idea here and make it instant Recall of “one thing” you’ve witnessed. You can even cast it on someone else, so they can describe someone or something with absolutely perfection. Great for a fantasy campaign filled with investigative elements. Material Component: Stick. Anna graduated from the State University of New York at Fredonia with a BFA. Since then her illustration work in the gaming industry has flourished, with a focus primarily on fantasy and science fiction. Anna works mostly digitally now, but painted traditionally for many years. She is most often inspired by biology, anthropology, history, and philosophy, but more importantly by the amazing work of her fellow artists. She currently lives in Rochester, New York, with her cat, Orc… and her boyfriend, Reed… in that order.